Seems like yesterday when you stopped by for the Photo Alchemy exhibit here at 23 Sandy Gallery. Hard to believe it is gone already but the show was immensely popular with a huge number of visitors. We want to send out a big congratulations to S. Gayle Stevens for winning a Photo Alchemy Juror’s Choice Award for her stellar tintypes in the exhibition. Stevens was one of three artists chosen by our juror, Laura Moya for this award. We’ll show you the other two winners soon, but for now we thought that you might enjoy seeing more of Gayle’s work in this online portfolio we’ve created. 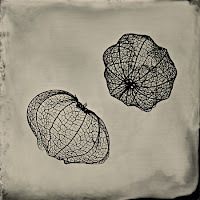 Click here to see 10 more of Gayle’s terrific tintypes. Book artists should subscribe to the RSS feed of this blog from Shawn K. Simmons. 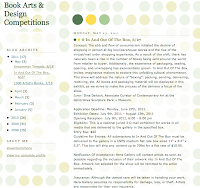 Excellent compilation of call for entries for book arts competitions. Shawn is a very talented book artist who uses a lot of photographs in her books and is also a graphic designer. She even posted my call for Uncommon Threads before I had a chance to send it to her. Thanks, Shawn! Gallery favorites Peter and Donna Thomas are putting out a call for entries for an upcoming commercially published book that will feature 1,000 artist books. 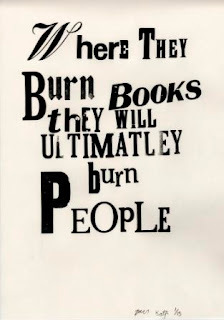 Yes, you read that right, 1,000 books! You may have seen the artist books of Peter and Donna here at 23 Sandy Gallery. The miniature books that this amazingly creative husband and wife team produce are popular for their sweet imagery and intriguing miniature structures. Now we are helping to spread the word about their current project. Peter and Donna will be co-editing (along with Sandra Salamony) a book that will feature 1,000 artist books and we thought you might want to submit your work. 1000 Artists’ Books is being published by the same publisher who published Peter and Donna’s first book More Making Books by Hand. The publisher, Rockport Publishers/Quarry Books is known for their high-quality visual and idea books for design professionals and creative enthusiasts. This book will be part of their series of 1000 image books. 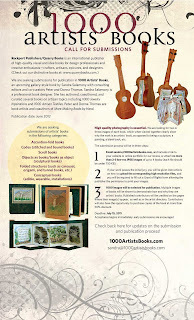 It will be a gallery-style book titled 1000 Artists’ Books (publication date June 2012), which will present 1,000 images of artists’ books. The goal is to show a variety of artists’ books. Since the readers of this book will not be able to hold your actual book, they will be looking for multiple images that visually show the reader how and why the book is an artists’ book and not just a sculpture in book form. Granted some artists’ books will be three-dimensional objects, but most books will have some quality of sequence that cannot be understood from a single image. They want images that show those qualities. They will be giving preference to images of books that have both outsides (bindings) with strong visual appeal and insides (text and/or imagery) with just as strong visual appeal, but will also accept single photo images that nicely illustrate a single striking aspect of a certain type of artists book. At this time they anticipate showing 1-3 books by each artist, so will ask you to send images of 4-6 books, a maximum of 20 images, for them to choose from. Peter and Donna are very excited about this project and hope that you will contribute to it. As there are so many great book artists their selection will be based a little on “first come first serve”, so get your images in soon. That will help them meet their deadlines, and secure your spot in the 1,000. The call for entries for 1000 Artists’s Books can be found here. THEME – One of the best aspects of working in the field of book and paper arts is the chance to work with such varied artistic materials and techniques—even traditional handicraft techniques. Think of knitting, embroidery, sewing, beading, felting, needlework, stitching, quilting and any other myriad possibilities. Combine these techniques or materials with a strong concept, meaningful content, a story to tell or a compelling narrative and we have a new era in the book and paper arts. 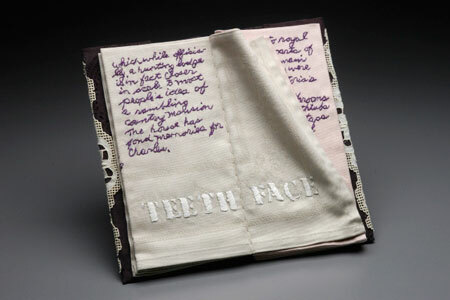 Uncommon Threads seeks artist books and other forms of book and paper art that utilize handicraft techniques, materials or subjects as a way to round out, illustrate or compliment a central concept. Remember, it’s not just about the materials or techniques. Let’s dispel the myth that the handicrafts can’t have any part in meaningful art. MEDIA – This exhibit is open to hand crafted book and paper arts related works created as either edition or one-of-a-kind. Artist books, sculptural books, book objects, altered books, zines, broadsides and sculptural pieces are all encouraged. Any medium, any style, any size. AWARDS – Three artists will receive “Best of Show Awards” which will include a certificate and special marketing blitz focusing on their work. One artist will receive a “Library Choice Award” which will be awarded based on ballots cast by our library and museum customers and will also receive a certificate and marketing blitz. INFO – A complete call for entries for Uncommon Threads can be found here. ADDENDUM – After taking some criticism for our Uncommon Threads show I have edited our call for entries to read as shown above. As my faithful fans have always known, content and concept in artist books have always been very important to me. But, apparently I left that out of the call for entries which greatly offended someone. I see this as a direct challenge to prove that we can find a happy marriage between craft and content. Please help! 1,983 Rejections: 3 Acceptances Opens Today! New to Portland, conceptual artist Mary Bennett presents homage to an unknown poet by covering the walls of the gallery with the poet’s publication submission notes. 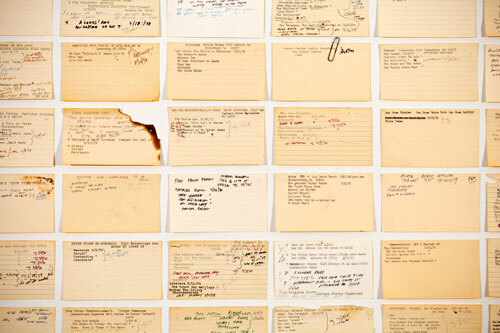 Found in a dumpster, the poet’s typed and annotated index cards document her work in the 1970’s and are filled with coffee stains, cigarette burns, poem titles and handwritten notes as she attempted to publish her poetry. Bennett’s installation examines the personal qualities of perseverance, deliberation, consistency and faith that were possessed by one woman, an unknown poet and dedicated writer. This woman believed in herself so much that she sent out 1,986 submissions. She received 1,983 rejections and only three acceptances. Her dedication will be displayed as all of these tattered index cards cover the gallery walls. Meticulously recorded, continually re-submitted and endlessly documented, this poet wrote and wrote and wrote. To continue in the face of such rejection she must have known something that most of us don’t. Perhaps she believed so completely in herself that she knew the next envelope was going to be an acceptance. We imagine her heading for the mailbox just knowing that today would be the day. Part installation, part exploration, part interactive meditation on how artists define success, the installation also features a re-creation of the poet’s writing studio as imagined by Bennett. Gallery visitors are invited to use the poet’s typewriter to contribute their own definitions of “artistic success,” which will then be added to the gallery walls. This unique documentation of a poet’s struggle and success were found in a dumpster in San Francisco’s Noe Valley neighborhood in the mid 1990’s, and the cards show a record of submissions to literary journals from 1973 to 1978. 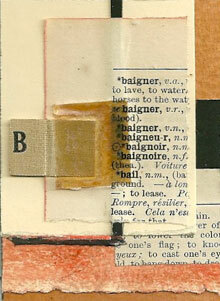 The installation is an attempt to recognize and honor this poet for her forbearance and patience and is accompanied by Bennett’s own artwork consisting of mixed media collages that incorporate torn dictionary pages, painting and found ephemeral text. Learn more about Mary’s installation and see her collage works here. May 19 at 8:00 p.m.
Great news! 23 Sandy Gallery favorite Andrea Benson will be a featured artist on this week’s episode of Oregon Art Beat. Her spot in the limelight was filmed here at the gallery and in her studio during her solo show last May titled Hands and Minds. 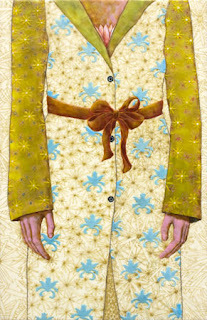 Andrea’s encaustic paintings have amazing detail and a technical prowess unmatched in the field of hot wax and paint. Catch Andrea this Thursday evening, May 19 at 8:00 p.m. After Thursday the segment can be viewed at the OPB web site. In the meantime, click here to see Andrea’s paintings that we currently have in gallery inventory. Special thanks to 23 Sandy Gallery artist Amandine Nabarra-Piomelli for forwarding this call for presentations. Amandine is a very talented photographer who has created several gorgeous photographic artist books and has a keen interest in advancing this crossover genre as collectible objects both in the photography and book arts worlds. Check out Amandine’s work here. Symposium: Photography and the Artist’s Book Manchester Metropolitan University Special Collections, Manchester, UK. 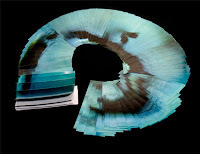 Friday 21st October 2011 There is a renewed interest in the relationship of photography and the artist’s book as both works of art and as alternative sites for exhibition and dissemination. There is also a notable expansion in the activities of self-publication by photographers and artists who use the photograph. Further to this, the theorising of the photographic essay and notions of ‘conceptual documentary’ have become important areas of discourse for those practitioners and theorists who are interested in working with the photograph in book form (Stimson, 2006 and Miles, 2010). Please send proposals (250 words) for papers (20 minutes) to Theresa Wilkie at t.wilkie@salford.ac.uk. Closing date Tuesday 31st May. This sounds like a fantastic symposium. Please report back if you go! On March 5, 2007 in Iraq, 30 people were killed and over 100 more were injured in a car bombing on Al-Mutanabbi Street in Baghdad. Along with the people who died came the death of a cultural mecca. Al-Mutanabbi was “the heart and soul of the Baghdad literary and intellectual community.” On Al-Mutanabbi Street were bookstores, outdoor bookstalls, cafes, stationery shops, and tea and tobacco shops. Al-Mutanabbi was most known for publishing and selling books that were banned as well as books that were not. This street was an outlet for those who wanted to write and read freely. The street was named after the poet Al-Mutanabbi who was killed for his writing. 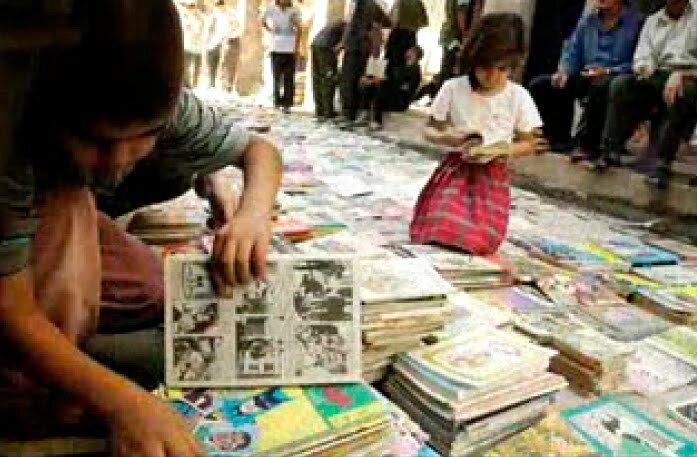 The bookshops contained literature of Iraq and the Middle East; history, political theory, popular novels, scholarly works, religious books, technical books, comics, children books and even stationary and blank school notebooks. After hearing of this tragedy, Beau Beausoleil, who lives in San Francisco formed the Al-Mutanabbi Street Coalition. In April of 2007, Beausoleil sent out a worldwide call for broadsides to commemorate and honor everything that was lost in the bombing. Broadsides came in from all over the world, including Germany, The Netherlands, Italy, Britain, the U.S.A. and Canada. 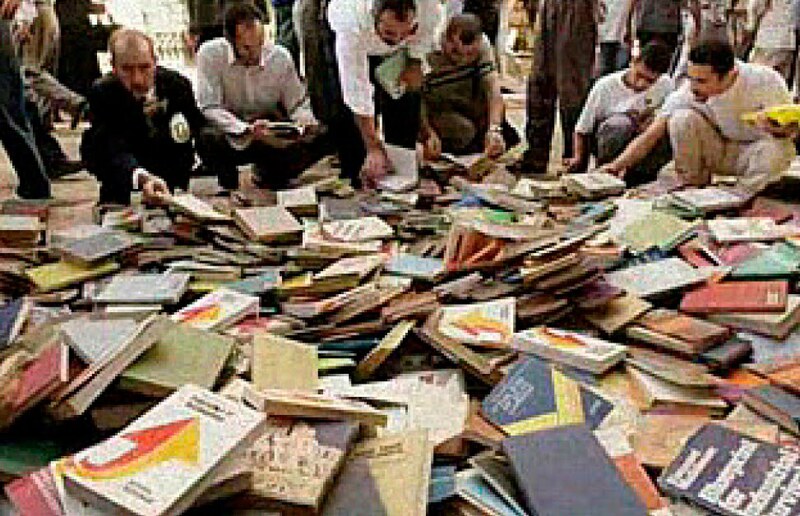 130 broadsides were collected and a series of them was given to the Iraq National Library in Baghdad. A selection of those broadsides can be viewed here. Now Beausoleil and the Al-Mutanabbi Street Coalition, is calling for a new set of submissions from book arts world. Beausoleil is asking for artists to work on a project to “re-assemble” some of the “inventory” of the reading material that was lost in Baghdad. Beausoleil is looking for work that holds both “memory and future” which is exactly what was lost on Al-Mutanabbi Street. You can find the official call for artist books here. Beausoleil is also collecting donations to create an anthology of the broadsides. The goal is to raise $4,000 and he needs your donations to make that happen. To donate simply send a Paypal payment to the email address listed in his contact information below. You can also contact Beau for more information about either project.